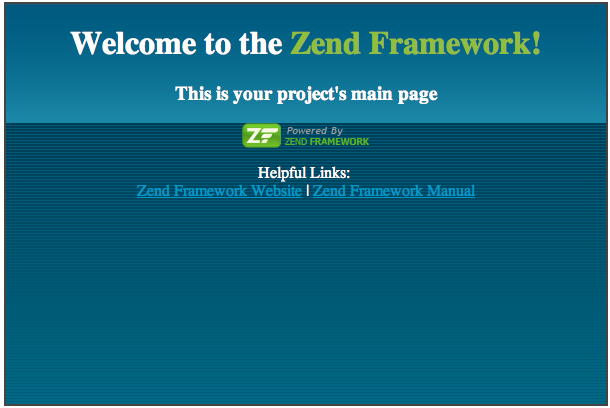 It used to be a bit tricky to get started with the Zend Framework. The Zend Framework is very flexible and allows you to set it up in almost any way that fits your needs. This means for example that the directory structure and location of files is up to you, however – there is a recommended layout. When I first started using Zend I had to figure out this by looking at examples and reading the (at that time) rather poor documentation available. In Zend Framework 1.9 a tool, zf.sh, was introduced. It simplifies creating a new site a lot. In this blogpost I will guide you though the process of setting up a Zend development environment in OS X. 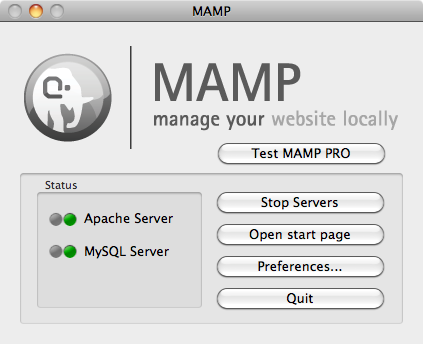 The only part that is OS X specific is MAMP. Zend Framework runs just fine under Windows and Linux as well. The AMP (Apache, Mysql, PHP) stack is available for almost all modern operating systems. I am writing this on my Macbook, so in this tutorial I will use MAMP. When I develop PHP in Windows I usually use WAMPServer and in Linux you can install the LAMP-stack using the packaging system in most distributions. Setting up MAMP is pretty straightforward, download the MAMP .dmg-file and drag the MAMP folder to your Applications folder. Start the application and press the “Open start page” button to make sure everything works. On the start page you will find information about your site, phpInfo, phpMyAdmin and SqLiteManager. We will get back to configuring the http root directory later. Go to the framwork download page and download the minimal distribution. In this tutorial I am using 1.9.6, but the instructions will probably apply to all 1.9 versions. This will allow you execute the zf tool without using the full path. Try it out by executing zf show version, it should return the version number of the file you downloaded. Go to the folder where you want to create your new project, in my case ~/Development/. Run zf create project zf-tutorial. This will setup the default directory structure and create the necessary files. The application/ folder is where the source code for your website lives. It contains separate folder for models, views and controllers. The public/ folder is the folder that is going to be your document root. The last step before we will have running site up is to configure the step that we skipped in Step 1, configuring the Apache document root. 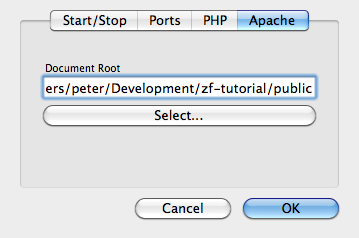 Open up MAMP and click the preferences button, under the apache tab you will find the document root. 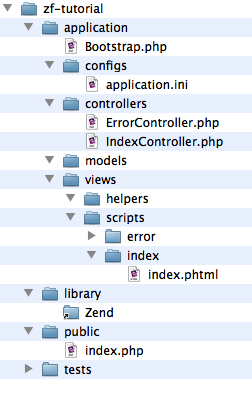 Click select and navigate to the “public” folder in your zend project. Apply the settings and restart the server. Now open your application/controllers/IndexController.php and start hacking your code!